CHICAGO — It might be easier for Orbert Davis to name the famous musicians he hasn’t yet recorded with than to go down the marathon list of those he has. The man who Chicago Magazine crowned “Y2K’s Best Trumpeter in Chicago” has made a nearly 20-year career of musical collaboration. You name them, he’s probably played with them: Stevie Wonder, Ramsey Lewis, Dionne Warwick, Duran Duran, Gladys Knight, The Temptations, Kurt Elling, TS Monk, Dr. John, Grover Washington Jr., Ernie Watts, Wynton Marsalis, and on and on. His mile-long resume includes work on no less than 2,700 TV and radio commercials. But not just commercials: soon we’ll be hearing his musical arrangements in the new Tom Hanks-Paul Newman movie, “The Road to Perdition,” as well as seeing Davis on-screen in a cameo role. More immediately, Davis’ collaborative instincts are headed Twin Cities-way: He’ll be sitting in tonight with Bloomington-Normal’s Heartland Jazz Orchestra for a 7 p.m. gig at The Coffeehouse in downtown Normal ($5 at the door). This is Davis’ second session with the HJO. And he has no qualms about bringing two of his own compositions — “Double Blues” from his new CD (“Priority”) featuring jazz vocalist Elling and a Miles Davis tribute called “Miles Ahead” — for first-time inspection by the HJO. Which is why he’s coming back for seconds. Besides being called Chicago’s best trumpet player for the new century by Chicago Magazine, Davis has received numerous other honors in recent years, including being singled out in 1995 by the Chicago Tribune as one of the newspaper’s prestigious “Arts People of the Year,” largely through his winning the 1995 Cognac Hennessy National Jazz Search, another major honor. 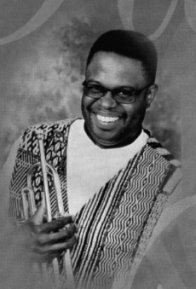 By 1996, Davis was the featured soloist at the Chicago Jazz Festival, a role he encored at last year’s event. 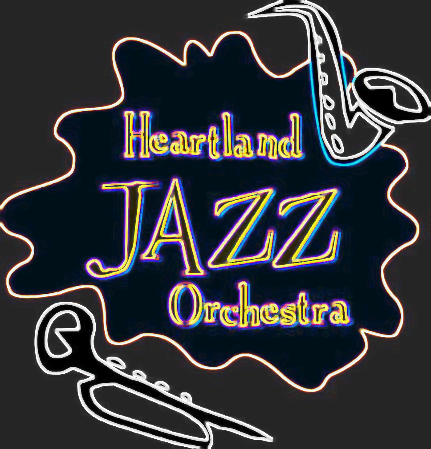 This year, another major milestone was achieved when he got to collaborate with the Chicago Symphony Orchestra at a Christmas concert that featured the CSO performing the classical “Nutcracker” and a jazz orchestra, fronted by Davis on trumpet, playing Duke Ellington’s jazz take on the same music. “It was an unbelievable experience,” he says of the meeting of musical sensibilities, as well as representing that rarity in Davis’ musical life to date: someone (or thing), he hadn’t collaborated with before. The road to collaboration began in the late ’70s at Momence High School in the Kankakee County town of Momence, where Davis cut his jazz teeth. Further schooling at Northwestern University solidified his musical standing. As a result of that association, Davis began moving through different musical idioms, including Top 40 pop, while gaining a grasp of studio recording techniques and musical arranging. That review was pivotal in helping forge Davis’ reputation on the Chicago music scene. A decade later, he has evolved into one of the city’s premier trumpeters. And when the big stars come to town, he’s on the “short list” of musicians summoned to back up the likes of a wide range of stars, from Stevie Wonder to Mitzi Gaynor. Music Alive, he says is the rewarding answer — just the latest in a series of collaborations for Orbert Davis that will doubtless continue for many years to come.